I love growing herbs in my garden but most of them die off in the winter months. Since I use herbs for cooking all the time, my answer is growing herbs indoors during the winter. Some herbs are annuals and need to be planted each year, and others are perennials and will continue growing year after year. But even most of the perennial herbs will go dormant in the winter. Rosemary is an exception for me. It grows outside for me here in NC all through the year even though new growth is limited to the warmer months. Even though most herbs stop growing in the colder months, that does not mean our demand for them decreases. I use fresh herbs in cooking all year round. 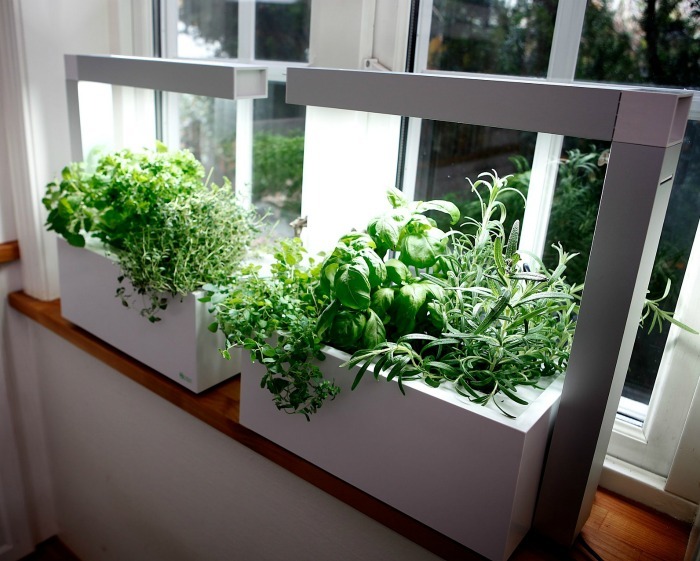 As long as you have sunlight coming into your home, you can be successful at growing herbs indoors. How are you at dentifying herbs? This can sometimes be a challenge since many of them look similar. Be sure to check out my handy herb identification graphic. This post may contain affiliate links for your gardening convenience. Getting Started Growing Herbs Indoors. If you love cooking with herbs as much as I do, you don’t need to purchase fresh herbs from the supermarket. The cost of these adds up quickly and they often go bad before you use them all. 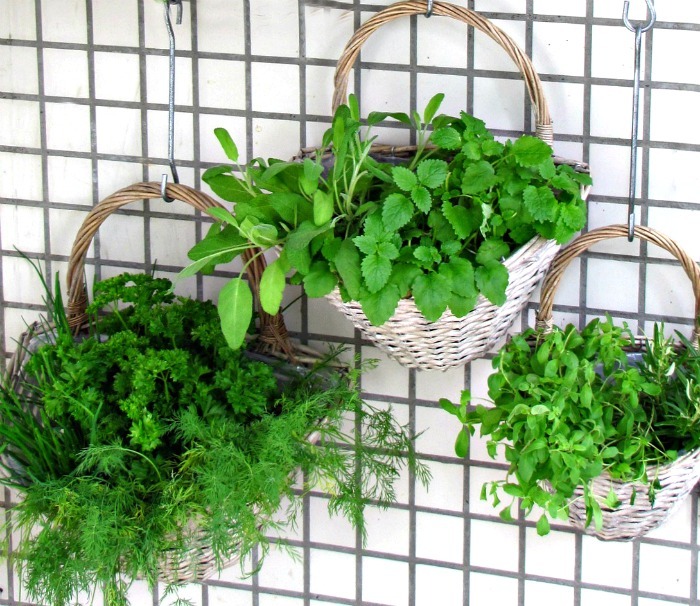 Instead of buying fresh herbs in bubble packs, or using dried herbs, try growing herbs indoors. It’s all about the taste! Fresh herbs add so much flavor to foods. They can be used to make oil and vinegar that has been infused for cooking. 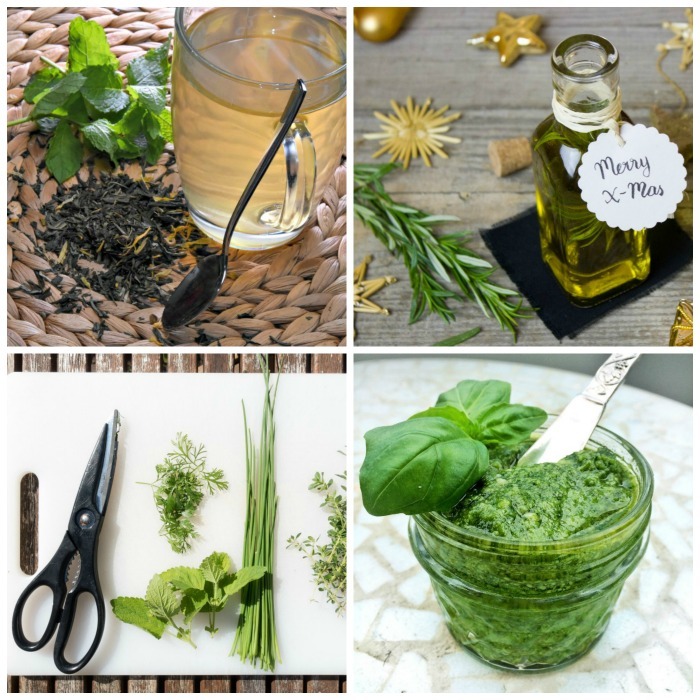 Herb butter, pesto sauces, soothing teas, and even skin care products all use fresh herbs, so it’s wonderful to have a supply of them all year long. There are ways to preserve herbs that you have grown outside during the summer when the frost gets closer. But having a pot of your favorite herb handy so that flavor is only a snip away is so much more convenient. Which are the Best Herbs to Grow Indoors? 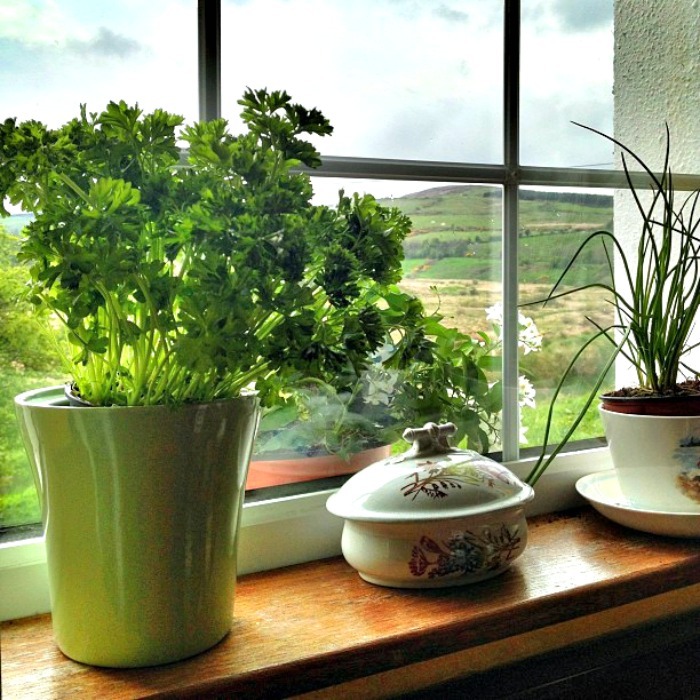 Most herbs will grow indoors but some work better than others. 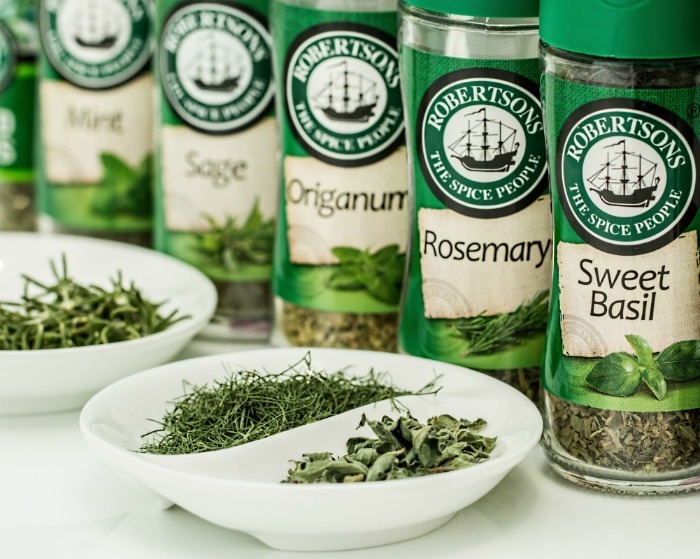 My favorites are basil, tarragon, chives, rosemary, parsley and oregano since I use these all the time in my recipes. If you have the right light and window space, the sky is the limit on which herbs will grow indoors. 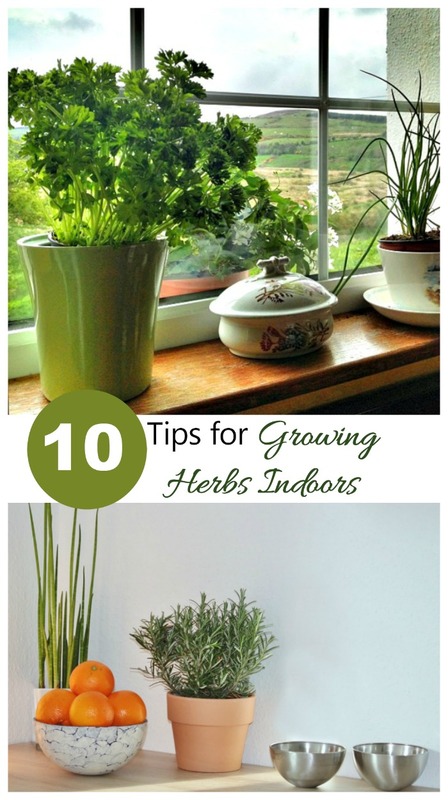 Check out this post for my favorite herbs to grow indoors. The main consideration for you to keep in mind when choosing which herbs to grow indoors is the sunlight you have and the ability to moderate your humidity. Size also matters, since some herbs are faster growing than others. Indoor herb plants can be purchased from most garden centers and online mail order garden supply sites. Many herbs can be grown from seed. Just plant seeds in a seed starting medium, keep moist and warm and you’ll have herb plants in just a few weeks. Many herbs will grow easily from cuttings of existing plants. I often take cuttings of the herbs that I grow outside before the first frost kills them, and bring them indoors to root in a glass of water. Once they have roots, they can be planted in potting soil and treated as an indoor plant. I love getting plants for free! Once you have decided that you want to try your hand at growing herbs indoors and have your plants in hand, it’s time to get your indoor herb collection going. But this is not as easy as placing a pot of basil on the kitchen counter. All indoor plants, including herbs, have growing needs that must be met. Find the right spot for your indoor herb garden. All herbs need a sunny location to grow well. Fortunately, many kitchens have a sunny window and there are many other areas of the home with sunny windows, which makes the job easier. It is easy to tell if your indoor herbs are getting enough light. If the new growth reaches towards the light, the plant is telling you to move it to a sunnier spot. Without at least 6 hours of light, most herbs will get leggy and start to lose their flavor. Rotating the container that the herb is growing in will also ensure that the light is delivered evenly and that the plant will grow upright. If you don’t have the right light situation, an indoor grow light system might be the answer for you. Grow lights are specially designed to give off just the right amount of light for your indoor herbs, so that you can grow them in darker parts of your home. This makes them great for apartments and homes which do not have adequate natural sunlight coming in. Herb plants like well draining soil. The fastest way to kill an indoor herb garden is to over water or have the plant sitting in a saucer of water so that the roots are constantly wet. You can help with this by adding a layer of pebbles in the bottom of your pot so that the soil drains better and the roots are above the pebbles. Be sure to use saucers to protect your furniture and remember that clay pots and saucers are porous. Plastic, rubber and glass pots are the best containers to use unless you want to add a tray under clay pots to hold water spill off. Containers for indoor herb gardens. Pretty much anything that will hold some soil can be used as a container for a fresh herbs. One of the true joys of gardening indoors is to use the plants as decor items. I like to use water pitchers, galvanized pots, pretty tea pots and plastic pots in decorative outer containers such as baskets. Clay pots also dry out faster so a glazed clay pot is a better choice. 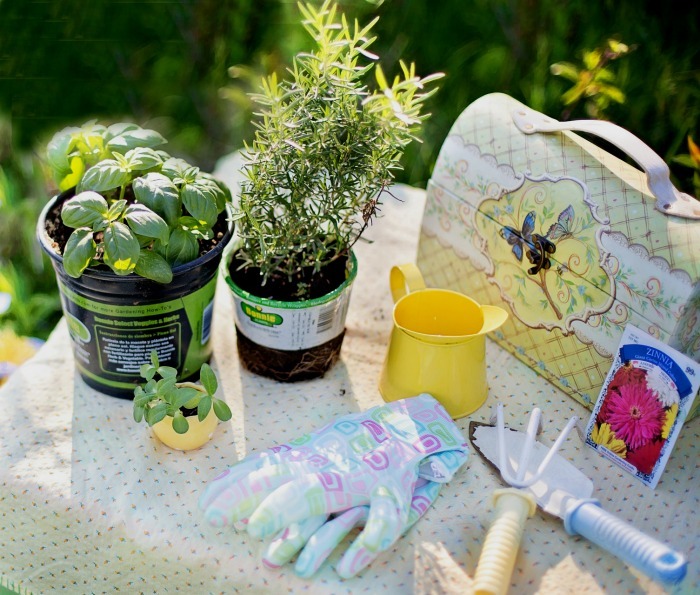 There are even miniature herb garden tubs designed to hold a mini garden in one container that can be purchased. It is important to make sure that your indoor herb plants are watered regularly. Don’t allow them to dry out, but also take care not to over water them. A good rule of thumb for many house plants, including herbs, is to water when just the first inch of the soil starts to feel dry. You can test this with your finger tip. If the area just below feels moist but the top is dry, it’s time to add a bit more water. A good water soluble indoor plant fertilizer can be used once a month to help the herbs get the right nutrients. It’s also easy to make your own DIY home made Miracle Grow as well as several other plant fertilizers. Herbs grown indoors have a tendency to be a little more spindly than those grown outside, due to the lesser light conditions. Pinching out the tips is a way to encourage bushiness. Since you will be snipping off stems to use in cooking, this job will almost take care of itself! Be careful not to prune away more than a third of the total plant or it will suffer. Herbs don’t like the cold temperatures. Most herbs have thin leaves and this type of plant will die easily if it gets too cold. Be sure that the inside temperature of your home is between 65 º F – 75 º F. (18 C to 24 C) Also be sure to protect your herb garden from drafts which come in from windows or nearby doors, since a cold draft can also kill herbs. Try to keep the foliage from touching the glass of the windows, since window panes can be colder than areas inside the home. The air in most homes is quite dry, particularly during the winter. 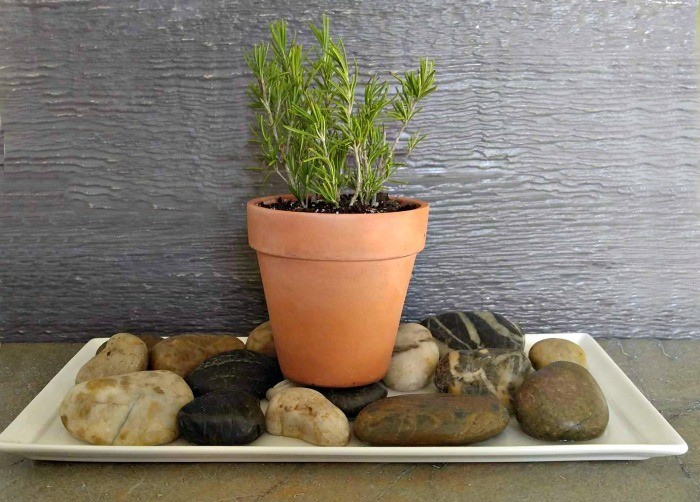 A good way to ensure that your indoor herb garden gets the right humidity is to place the pots on a long tray that has a layer of pebbles or rocks in it, and keep water lower the the height of the stones. This will make a more humid area around the plants. Plant misters are also great for adding humidity to individual plants. 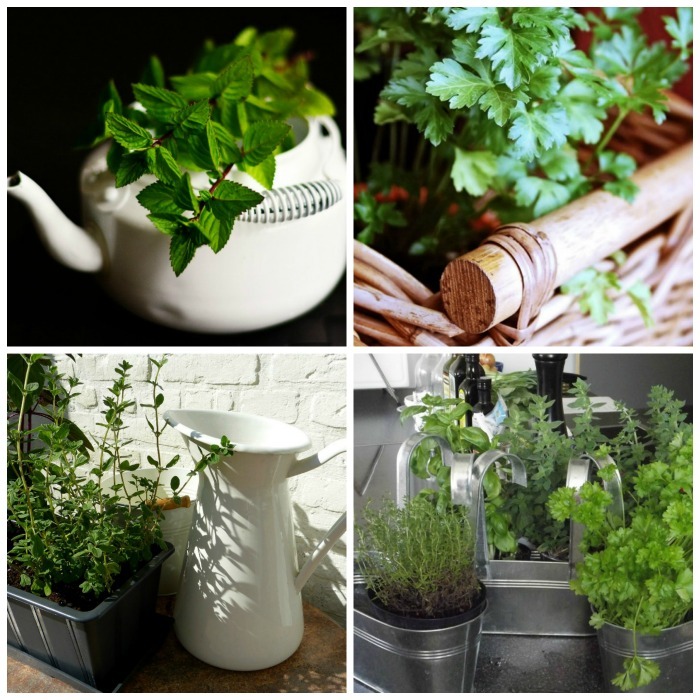 Even though herbs grown outside are larger and easier to take care of, you can be successful at growing herbs indoors by following these few tips. 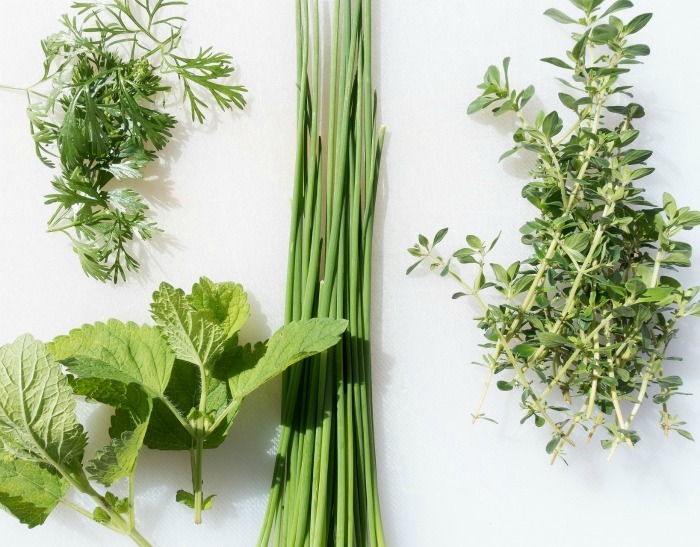 Don’t give up the flavor of your fresh herbs for cooking just because it is colder now. Grow herbs inside! My list of perennial herbs gives the names of herbs that will over winter and grow back each year. Check out this post for the list and watch the video at the top of this page for more info.